View cart “Sentinel’s Mirage” has been added to your cart. 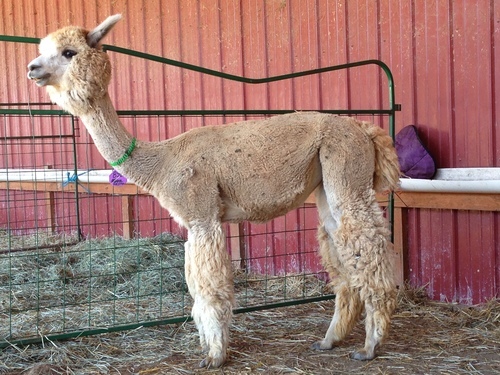 Reyna is a Lovely Medium Fawn Tres Equis Daughter! She is exhibiting fineness, uniform character and micron. We appreciate her growth at 2 years, and she is exhibiting all of the positive traits from both Dam and Sire. Notable in her pedigree are: Snowmass XXXtreme, Microsoft-Accoyo Marco-Polo, Peruvian Hemingway, PPeruvian Pluro. Reyna’s Dam is Patagonia’s Sakari. 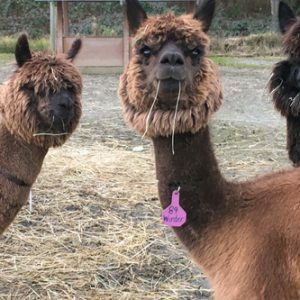 Sakari’s cria are all fantastic. 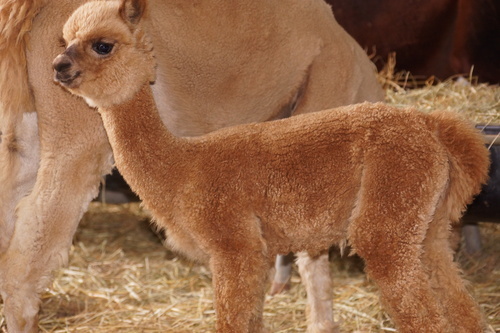 Her first cria earned AOBA National Reserve Champion in 2010! She exhibits all of the right traits and passes them on. 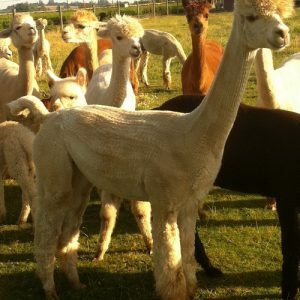 We are sure Reyna will be a fantastic foundation female, delivering cria with desired traits. 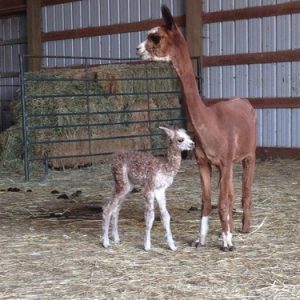 Her first cria, and the finest cria I have ever laid eyes on. Seriously. This male is MF, super fine expressing beautiful character within his fiber. Gorgeous female! Oh my gosh we need to repeat this pairing because she is perfect- great head, fantastic fiber with dense, fine Staple bundles!! This gal needs to go to show! !